TVB’s The Defected <鐵探> scored the year’s highest first episode ratings when it premiered on April 1, achieving an average viewership rating of 29.5 points, setting a record since 2018. The crime drama is Kara Wai’s (衛英紅) comeback television drama with TVB, and Philip Keung’s (姜皓文) first. The Defected also stars Benjamin Yuen (袁偉豪), Sisley Choi (蔡思貝), Mat Yeung (楊明), Ben Wong (黃智賢), Benz Hui (許紹雄), and Grace Wong (王君馨). The high viewership rating is not a surprise; heavily promoted by TVB as a blockbuster grand production, The Defected is produced by So Man-chung (蘇萬聰) and written by Chu Kang-ki (朱鏡祺) and Lau Siu-kwan (劉小群), the forces behind 2017’s My Unfair Lady <不懂撒嬌的女人>. 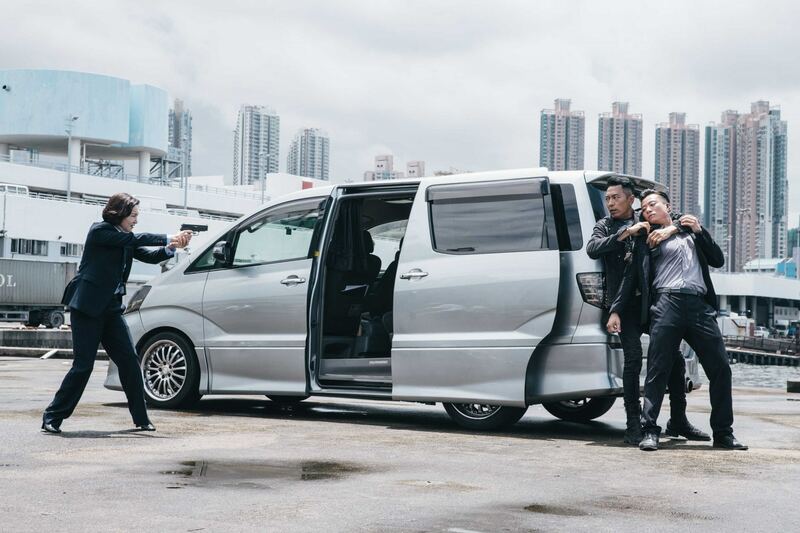 The Defected largely revolves around a cop, played by Benjamin Yuen, and an undercover, played by Philip Keung, who are victims of a longtime power struggle among higher police officials. Jammed with intense action sequences and a genre that is not typically shown in television, The Defected garnered large followings even before it aired. And although reviews have rated the drama quite favorably, there’s still a lot of room left for improvement. The Defected suffers from two main issues: choppy editing and and over-saturation of relationships. The Defected uses reverse chronology to tell its story; in other words, the plot is unveiled backwards. The Defected started off with the ending—in the opening scene, Benjamin Yuen testified against Kara Wai in court, and the subsequent episodes revealed why. In that scene alone, the viewers learned that Benjamin Yuen had suffered from a severe injury that scarred him mentally, while Kara Wai was a high police official who was willing to bend the rules for her own again. However, the events leading up to that specific incident was not revealed until episode 5, making the narrative overcomplicated and draggy. The editing was also choppy—many key character and story arcs were told through flashbacks, which were not edited with filters or altered by sound to distinguish them from present-day scenes. Viewers who did not watch the episode from beginning to end may find it hard to follow. The overuse of slow motion also affected the pacing of many action sequences. Relationships are important to any kind of storytelling, but The Defected has been criticized for doing both too much and not enough. There was grief with Kara Wai losing her son, the tearjerking emotions between Philip Keung and Angelina Lo, the forbidden love between Mat Yeung and Sisley Choi, the complicated love between Benjamin Yuen and Grace Wong, and the love triangle between Ben Wong, Benz Hui, and Sharon Chan (陳敏之). Viewers can only become invested in a relationship if that relationship helps drive the plot of the story, but with such an over-saturation of characters, it’s going to be difficult to keep all of these relationships relevant without compromising the flow of the narrative. I agree with the criticisms. But i like that this involves power struggle between the high ups in the police force and the minions got caught up in cross fire. However I don’t like that Kara’s character is so open in her bullying tactics against Benjamin. I am still shocked over Benjamin;s shooting scene. Acting is good but I am still wondering does this series need so many people. i haven’t been too focused on the drama yet having been seeing a scene or two here and there while my hubby and kids are watching. having done just that, i cannot comment on the choppy editing. some of the actions scenes were OTT. like the car chase scene where the bad guy driving a sedan was able to knock over couple other sedans and set one on fire. that bad guy’s car came out almost unscathed and went on a wild car chase with a police officer…. there is alot of room for improvement for scenes and sequencing like that esp if they want to break out into the world. too tvb la. I’ve been watching somewhat diligently and finished episode 8, the flashbacks and fast forwards are confusing and make the timeline a little hard to follow. However, the cast is superb and the plot is well written, so I’m not surprised it has such high ratings. Yes, the series has been excellent so far. There has been a few too many dragging relationship scenes but apart from that the acting as been brilliant. Especially Benz, Kara and Phillip Keung. Ben Yuen is also starting to bring so emotions into his character too. Philip Keung played a supporting role in Guardian Angel, didn’t he? So technically, this is not his first TVB drama as stated in the article.